Welcome to Stark automotive, home of the DIY (do-it-yourself) Honda K20 engine conversion kit for Rover-engined Lotus Elise, Exige & 340R. We believe the combination of the lightweight Elise chassis and the fantastic Honda Type R engine provides the best of both worlds. But don’t just take our word for it, EVO magazine gave our original demo car a five star review. The handling of a Lotus Elise combined with the power output, reliability and character of a Honda VTEC engine – a match made in heaven? Very much so, and something that can be carried out by a home mechanic on a DIY basis using our conversion kit. Our kit provides all the parts you need to fit a Honda K20 engine and gearbox to your Lotus as well as a comprehensive 50+ page build manual. You will also need an engine donor package, a suitable ECU and your choice of upgrades & optional extras to complete the job. Using our kit, the Honda engine and gearbox can be fitted to a Lotus on a DIY basis by owner-enthusiasts as well as trade professionals. Alternatively, if you don’t have the time or aren’t handy with spanners, Stark can recommend a number of professional installers around the world. The performance of a Honda converted Elise is simply amazing! The kit, using a standard UK spec K20A2, has proven outputs of 235 bhp and 169 lb-ft. In an S1 Elise this provides approximate performance figures of 0-60mph in 3.9 seconds, 0-100mph in 9.5 seconds and a top speed of 160mph, all with Honda’s legendary reliability. Our demonstrator car received top-rated reviews from the motoring press, including a cover feature from ‘Performance Tuner’ magazine and a five-star verdict ‘Driven’ test from EVO Magazine. The kit is suitable for all Rover engined Elise variants including: Elise S1, 111S, S135, S160, S190, Motorsport Elise, Exige S1, Elise S2, S2 111S and the 340R. Our kit is not suitable for Toyota-engined cars. The kit is designed around the Civic Type R (EP3) K20A2 engine, however the Integra DC5 K20A unit can also be used with minor differences. The kit parts were originally developed, and have been continuously refined over time, using modern CAD/CAM techniques by qualified engineers and professional fabricators. See our FAQ for more information on other conversion ideas including using the K24 engine and superchargers. As well as a suitable Lotus car and our conversion kit, you will need an engine donor package (along with your choice of ECU & kit upgrades, and other optional extras). There are two possible donor cars for the donor package: the 01-05 Honda Civic Type R (EP3 model) and the 00-06 Honda Integra Type R (DC5 import model). The former are more common, the latter are rarer and more expensive. See our FAQ for more information on donor cars and engine types. The main donor parts required are a Honda K20A or K20A2 engine & gearbox. Alongside this, there are a number of crucial other parts required from the donor vehicle, these are listed in full in our build manual or see Donor Package for more information. We offer 7 day per week support via email – we are here to assist with any aspects of physical installation. Guidance notes are provided to get you started on the necessary wiring modifications. 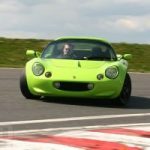 This enables the enthusiast to build a Honda powered Elise at minimal cost with the confidence that there is a UK based team always willing to assist. New kit parts are covered by a 12 month road warranty subject to our Terms & Conditions. Warranties for donor packages vary. In short, professionally refreshed engines and gearboxes will be warranted, others will be supplied without warranty (although we will provide any available history and paperwork). All of the kit parts are available individually as spares, to help keep your Lotus on the road. Please contact us for a quote. Click T&Cs to download a copy of our formal terms and conditions. See How to Order to obtain a personalised quotation. All content © Stark automotive 2000-2018. No information or photograph may be reproduced without permission. can you please give a cost of this k20 conversion kit for a vx220 and cost for shipping to queensland Australia. I am too interested of conversion kit for speedster/vx220. Please email info@starkautomotive.co.uk and we will reply with what’s available for the VX220, thanks. Hello, do you Sell s1 k20 modified ? I’m looking for one, or buy one and bring it to you. Looking for a proper conversion of a Elsie S1. After a ride in your “demo car” own by Hugo, definitively I want one of them. Any notice of someone is selling hims? Hi, I’m mauro from italy, do you sell an elise s2 with k20a already fitted? Hi Mauro, we have replied by email, thanks. Do you have an exhaust for the Hondaumbau an Elise S1 in stock? He should have 2.5 inches of pipes. We want boost! We want boost! Helping you build your dream Lotus.